Good GMP aseptic technique of personnel is a key prerequisite for GMP compliance and generating meaningful results when working under a clean bench. Also it is a persistent FDA area of concern when performing Inspections, in particular when it comes to the SOPs describing the techniques for operators working under GMP conditions in such an environment. 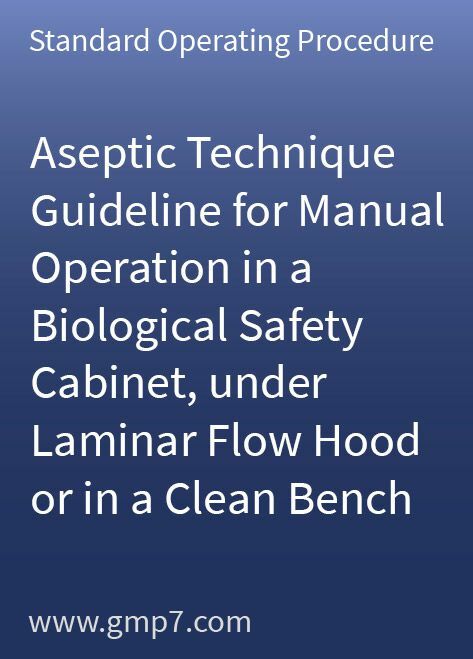 On only 6 pages this Standard Operating Procedure gives you general GMP guidance for personnel performing aseptic operations under a laminar flow hood, clean bench, or other such clean enclosure. This SOP basically gives you all the necessary GMP guidance you need and can be used with only little company specific adoption.